Bring the natural character of farmhouse design to your space with this barnwood brown picture frame. There’s nothing quite as charming as the grooved distressing that’s peppered with knotholes along the flat profile. 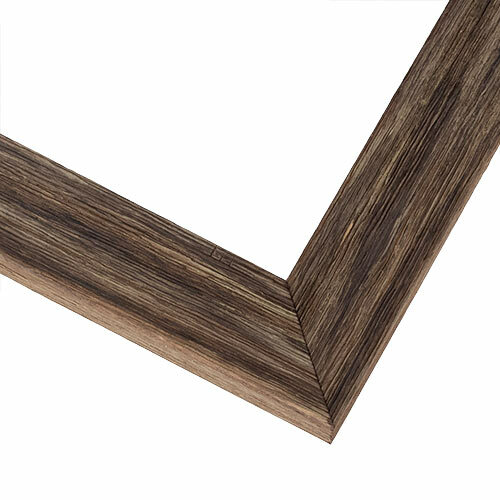 The rough-to-the-touch finish of this frame gives it a grainy, rustic modern vibe that makes for a perfect, eco-friendly frame choice for nature photography, landscape paintings and family pictures.